Commuters have been facing rail delays between Reading and London Paddington this morning due to a train fault on the line. 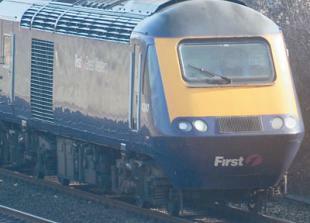 The fault means trains are having to run at reduced speeds on some high speed lines. Operator Great Western Railway said trains may be delayed by up to 45 minutes, with disruption expected to continue until 9.30am. POLL: Should the new Crossrail trains have toilets? The UK has voted to leave the European Union in yesterday's referendum - and while the Royal Borough of Windsor and Maidenhead fell into the remain camp, Slough voted to support a Brexit. Thousands of young people across the area are collecting their GCSE results this morning. We'll be bringing you live updates throughout the morning.